You have to know that the livers most important task is to produce bile, which helps in the digestion process, especially with the digestion of fats. And my body has always had a hard time to digest overt fats and which is also the reason why I eat almost no overt fats or I eat them very sparingly. 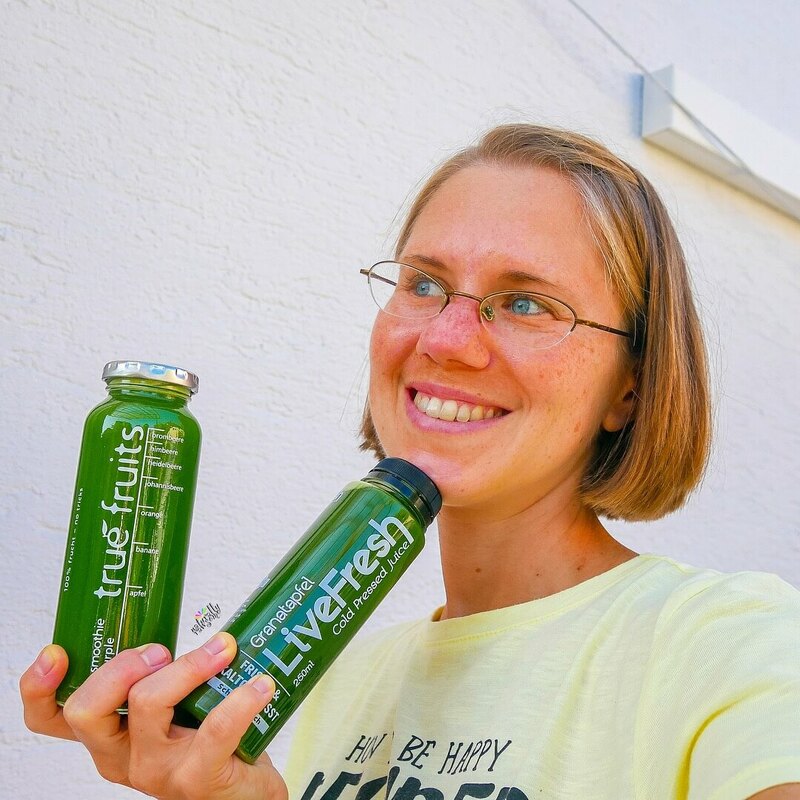 So in this blog post I want to tell you what I did to support my liver, gallbladder and kidneys in detoxifying toxins and waste products. Please note that this is what I did and might check with your doctor or naturopath before you start a cleanse like this! Ok so the original plan was to start drinking a Liver and Kidney Tea right from the beginning but as the order arrived later, I started drinking those teas from day 3 on. Additionally I ordered Chanca Piedra, which according to the webinar should also be drunken as a tea but I decided to get this one in a capsule form. 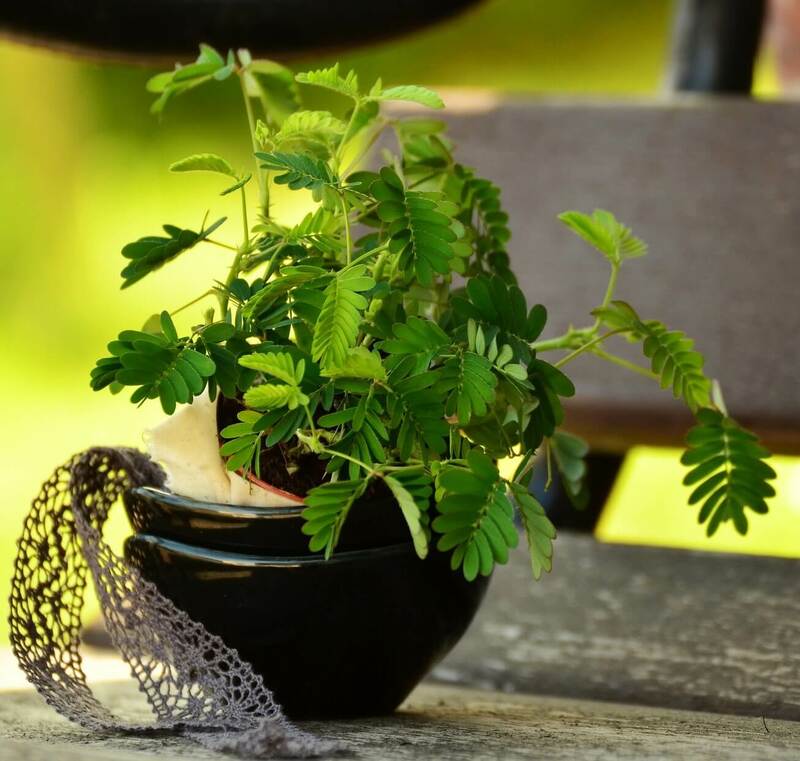 Chanca Piedra comes from the amazon, where people have been using it since ancient times to treat kidney and gallstones as well as to improve digestive tract problems. As this one came with the teas I also started taking it after day 3 but sure would have used it right from the beginning. Another thing that I included even before I got started on the cleanse were Swedish bitters (alcohol free). 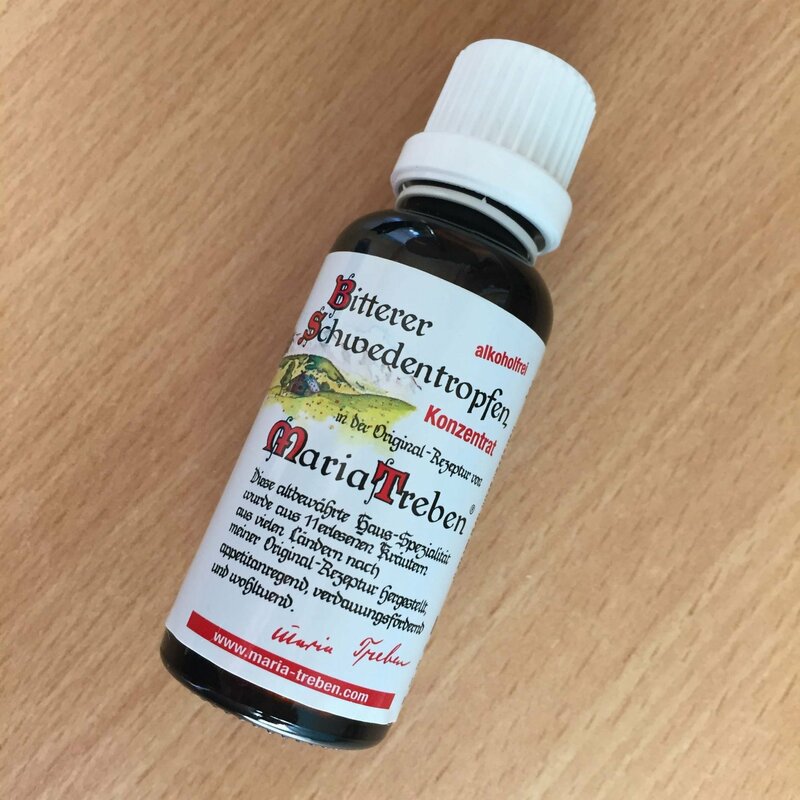 It’s a bitter and a traditional herbal tonic that’s been popularized by Maria Treben, a herb woman from Austria. The tincture contains aloe vera, angelica root, carline thistle root, camphor, manna, myrrh, rhubarb root, saffron, senna, theriac venetian and zedoary root. All of these herbs are beneficial for the intestinal system. The bitterness of these herbs stimulates the production of digestive enzymes and can help to maintain a healthy environment in the stomach and intestines. Furthermore they stimulate bile production and thus prepare the liver to process nutrients efficiently. The next thing that I ordered for my cleanse was Cassia Fistula (Manna) also called Indian goldrain. This is a true detoxification miracle. This fruit detoxifies and cleanses your entire body/blood and intestines as it binds to large amounts of toxins and releases them via the intestines. You got to be careful though as eating too much of it can make you feel very uncomfortable due to its strong laxative effect. Due to the effect of eliminating toxins quickly, they don’t linger in your intestines for long and thus the chance of reabsorbing them is lowered. Many people suffer with constipation today, meaning not having a bowel movement 1-2 times per day. 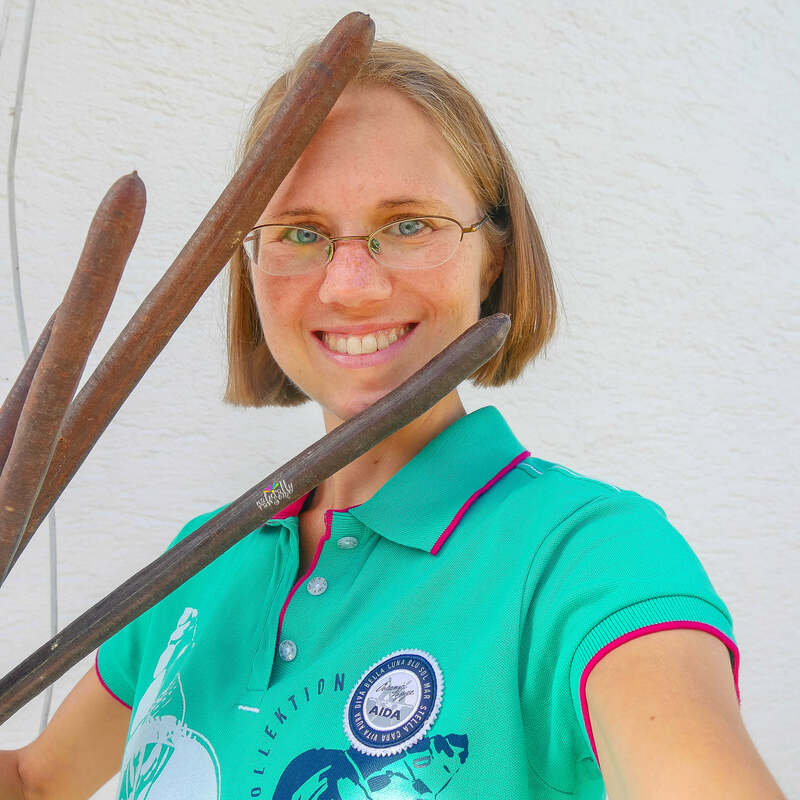 This leads to the effect that toxins and waste products are stored in the intestines before they can be eliminated and especially in the last part of our intestines toxins can get reabsorbed into our blood. The consumption of this fruit can either be by sucking on the inner brown sections or by dissolving them in a little bit of water and drinking the strained extract. This is what I started taking from day 2 of the cleanse as I didn’t get it earlier. Otherwise I would have started using it from day 1. On day 1 I drank juices, water and tea only, from morning to evening, spread throughout the day. I also drank 30 drops of the Swedish bitters dissolved in juice or water 3 times per day. On day 1 I felt normal throughout the day but began to feel tired in the afternoon and got bloated. So I used fennel essential oil on my stomach and added a drop of fennel (vitality/+) oil into my evening tea. Day 2 looked pretty much as day 1 with the same juices, teas and tincture. The bloating continued and I felt sluggish throughout the whole day. On day 3 I kept on drinking the juices, teas and tincture. The sluggish feeling continued and I was really looking forward to end the fast on day 4. Even though I must say I didn’t really feel hungry anymore. Now a regular liver-gallbladder cleanse uses castor oil packs and ends by drinking the juice of 6 lemons followed up by 200ml of milk thistle oil. This is what I changed up because I know how detrimental it can be to burden an already sluggish liver with such a big and hard to digest amount of fat. So all I did on day 3 was drinking the juice of 6 lemons right before I went to bed. And instead of a castor oil pack I was using the Digize essential oil from Young Living with a hot water bottle. I applied the oil on my upper belly right where the liver sits and placed the hot water bottle on it. My first meal of the day was a handful of goey fresh figs and I truly enjoyed every bite of it. And tonight the cassia fistula water did its job wonderfully and I was able to release a lot of accumulated waste. ;-P The detox effect made me feel a little uncomfortable throughout the day though. I still didn’t feel very hungry so I kept on drinking juice and tea throughout the morning. And I think I had a zucchini noodle dish for lunch (zucchini noodles with a veggie sauce made of sweet pepper, parsnip, zucchini, fennel, dulse). This was also the day when I started drinking the liver tea and the kidney tea, both unsweetened, which made it pretty challenging. From day 4 on I kept on drinking the liver and the kidney tea every day until it was completely used up (2-4 weeks). The herbal tincture was empty by now. This day was my birthday and I enjoyed some figs and baby apple bananas for breakfast. The cassia fistula detox was even more intense then the day before and gave me quite a uncomfortable feeling in my stomach and intestines. So by midday I felt rather tired. For lunch I was craving something savory so I made myself a nice green salad with a tomato horseradish dressing and some chopped celery, oregano, dulse and a pickled artichoke. For dinner we went out and I had a small salad again. Due to the discomfort I wasn’t really that hungry. What I have noticed after the cleanse was that my cravings for sweets/fruits have diminished tremendously and even though I had small amounts of fruits for breakfast, my body started asking for savory meals throughout the rest of the day. I still keep on drinking the cassia fistula water to remove toxins but I also started taking probiotics to build up the good bacteria in my intestines.